In honor of National Save for Retirement Week, I wanted to take a minute to point out some excellent books about investing. Truth be told, I thoroughly enjoy reading about money and finance, but I’m a bit of a freak when it comes to these things. 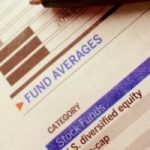 Â» The ins and outs of stock, bonds, ETFs, mutual funds, etc. All in all, this is a very well-rounded book on investing. For those that aren’t familiar with him, Bernstein is an excellent writer who manages to make otherwise dry topics quite interesting. “The Intelligent Asset Allocator” isn’t a light read, but Bernstein once again keeps things interesting. This book drills down into portfolio theory, tackling such issues as risk vs. return, asset class correlations, how to properly construct an investment portfolio, how to implement and maintain your plan, etc. Another books that looks promising is “The Bogleheads’ Guide to Retirement Planning.” I haven’t read it (yet), but the reviews are excellent, and it appears to delve into a number of retirement-specific topics. Finally, I’d be remiss if I didn’t point out Bernstein’s latest book, “The Investor’s Manifesto.” While this books isn’t due out until November 2009, you can pre-order it through Amazon. You can also check out the first couple of chapters for free via Bernstein’s website. What are your favorite books about finance/investing? All of the above are great money books. But if you only read one money book in your entire life, it better be “The Four Pillars.” William Bernstein lays out investment knowledge in a way us liberal arts majors can grasp and his wit is just an extra treat! (“Brokers service their clients like Bonnie and Clyde serviced banks.” LOL! Priceless!) I’m looking forward to his new book too! have any “pundits” commented on lending clubs as part of an investment strategy? Two thumbs up for Your Money or Your Life. Just finished reading and reviewing it and I loved it. I love the Boglehead. A good gift I got. Read all three of these, but I have to say that “The Four Pillars” was the best information if you are looking at a “bang for the buck” or value ratio. You have to keep reading everything you can if you want to make out financially. Thanks for the three reviews! My personal favorite investing book is The Intelligent Investor by Benjamin Graham. Graham was the mentor of Warren Buffet. This book is the Bible for Value Investors. My favorites are Reminiscences of a Stock Operator by Edwin Lefevre, One up on Wall Street by Peter Lynch, and the Ivy Portfolio by Mebane Faber. That Guide to Investing you mentioned does seem like the best all-scenario book to buy if you are new to investing and had to buy just one. In addition to those you mentioned, my favorites are: Malkiel’s Random Walk Down Wall Street, Taleb’s Fooled by Randomness (while it isn’t about investing as such, it sure does apply to investing), Bogle’s The Little Book of Common Sense Investing, and Allan Roth’s How a Second Grader Beats Wall Street.